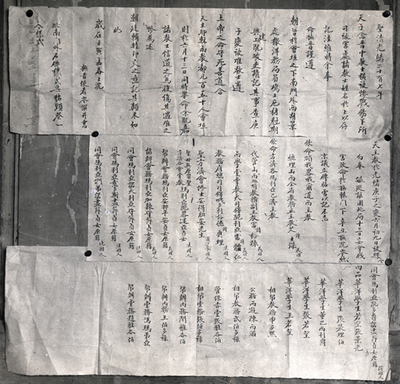 Photograph of the public proclamation exonerating Christians who suffered during the Boxer violence in Shanxi. Taiyuan, Shanxi. B/W Photo.